Editor's Note" Where Will You Lead 2016? Editor's Note: Where Will You Lead 2016? You don't manage people into battle—you lead them. That was the take-home message of the best commencement speech I ever attended. The speaker was the late Rear Admiral Grace M. Hopper, USN, PhD, who spoke at a college girlfriend's graduation in 1984. In addition to inventing the first compiler for a computer programming language, which led to the development of the COBOL language, Hopper became the first woman Rear Admiral in the US Navy. She has a both a Cray supercomputer and a guided-missile destroyer named after her. That speaks of achievement. Hopper was a feisty 77-year-old when I saw her speak to an audience mostly filled with education, computer science, and business majors. She asked if there was a Marine in the audience. One stood up, resplendent in his dress uniform. After polite applause, she asked him whether he had been trained to manage people in battle. He said, no—as she knew he would—setting up her speech's mic drop moment, although I don't think that would be a Rear Admiral's style. After that, she could have finished with a single command: Dismissed. The difference between leadership and management is increasingly important to medical groups. A well-managed group is certainly a good thing, but will likely lose out to a well-managed and well-led group. In medical practice, good enough is less good and less enough than it once was. At RSNA 2015 in December, I attended an annual "roundtable" luncheon where a dozen or so radiologists, consultants, and a lone editor discuss a preselected issue. 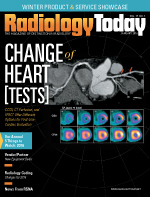 This year's topic was adding value to radiology. As the discussion evolved, the meeting topic eventually found its way toward the value of leadership and then to the qualities of leadership. The discussion produced both commonality on good leadership and a strong sense that it can differ from one practice situation to another. If you make one improvement to your practice in 2016, this might be the most important one to choose. Rear Admiral Hopper was right: You don't manage people into battle; you lead them.